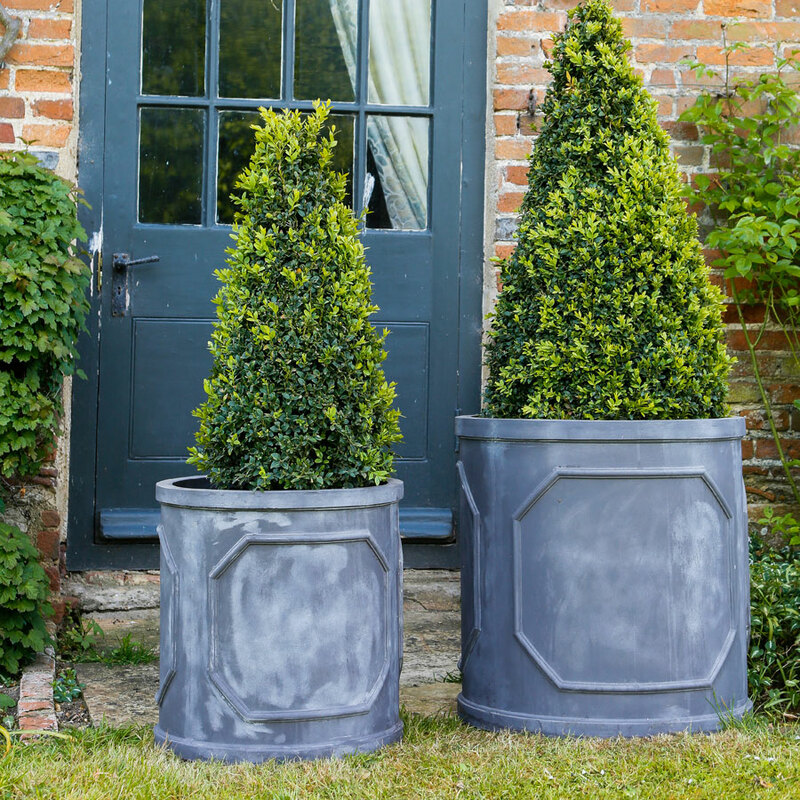 Perfect for creating height and interest on a terrace, the Chelsea Cylinder garden pot gives a classic feel and traditional look against brickwork and walls. 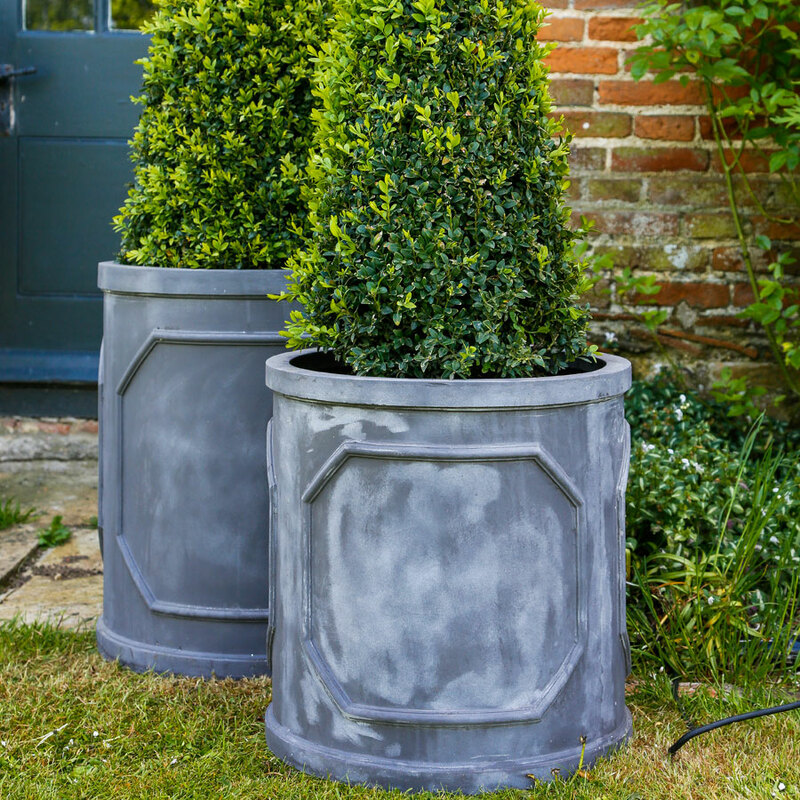 Using two sizes of planters, these cylinders create a striking display when planted with blazing pink Phormium. 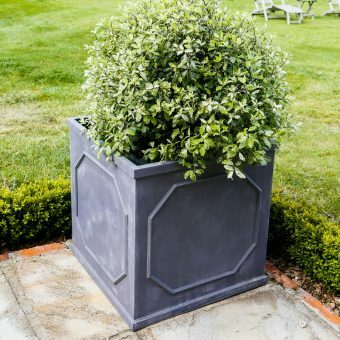 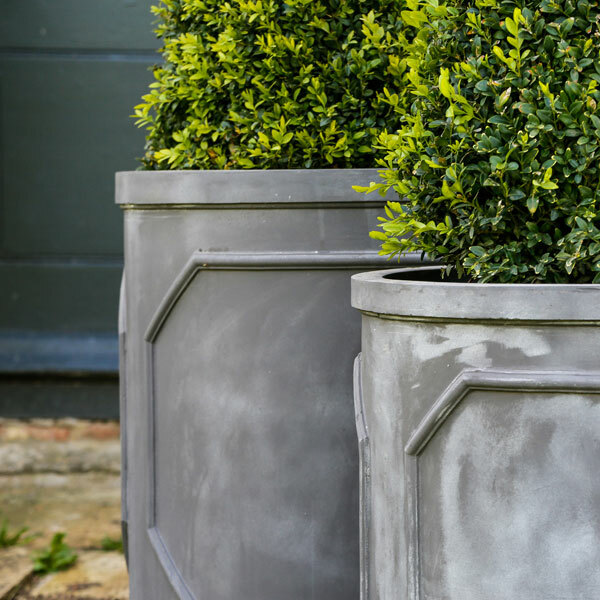 Fibrestone Classic is a range of planters designed to give the effect of lead but crafted from a new and innovative material. 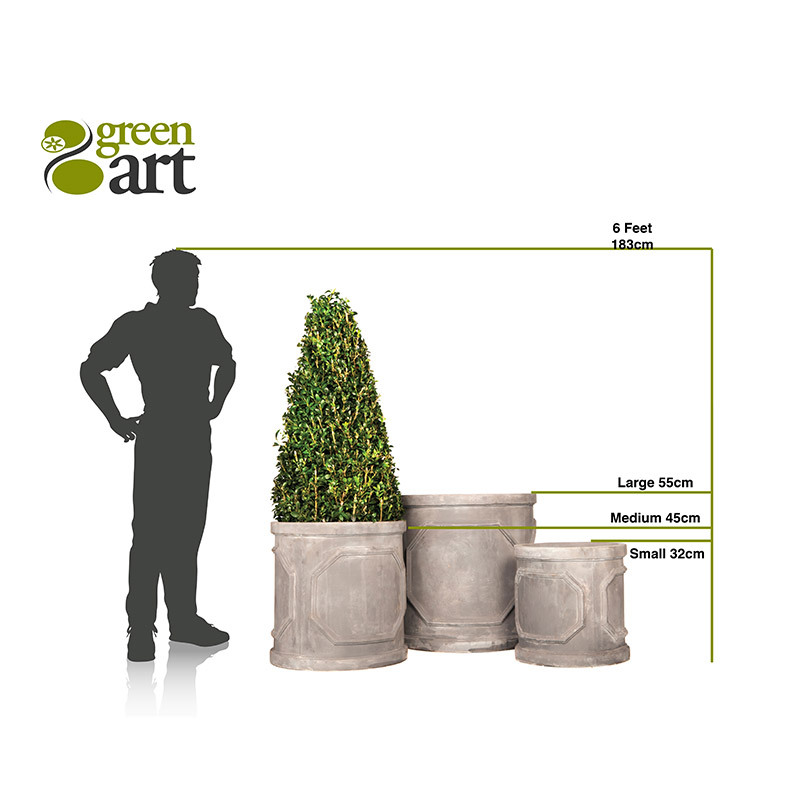 The result is not only durable but also a solid, authentic feel due to the stone powder that is added during production. 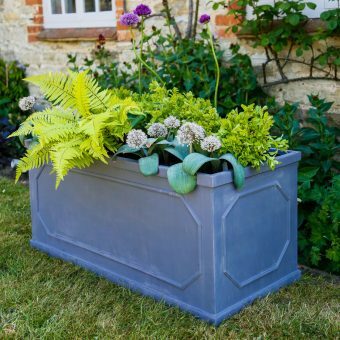 We’ve selected a range of traditional shapes and sizes to allow you to choose either a single planter or a collection to create an overall classical effect in your garden.